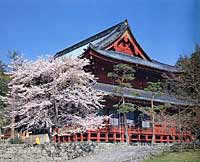 Oku-Nikko is the area of the whole place from Chuzenji Temple to Yumoto, while are located in the northwestern part of Tochigi Prefecture, escaping from central Nikko with Shrines and Temples, and having gone up the long winding curve called Iroha-zaka. This area is a tourist resort region blessed with natural resources, such as marshland, Senjo-ga-hara, Lake Chuzenji, Kegon waterfall, and the outstanding scene including Mt. Nantai. Hiking, autumnal leaves, mountain climbing, camping, fishing, photography, the recreation at a hot spring will interest visitors. Lake Chuzenji has about 25km surroundings and its size is the No.1 of the natural lake in Japan. 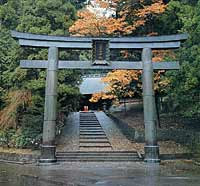 There is the Chugushi shrine, which religiously belongs to Nikko Futarasan Shrine. Also, Chuzenji Temple of Mt. Nikko, Chuzenji hot spring, camp, cottage of foreign embassy are around the Lake Chuzenji. 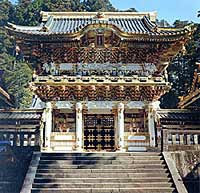 Also, the location of the Chugushi shrine is an approach to Mt. Nantai. In addition, you can enjoy hiking to stroll around, and riding on the motorboat, which make a tour on the Lake Chuzenji. Foreigners' domestic tour became free gradually at the Meiji era, and the diplomats of Western countries came to visit to pass the summer. Cottages were built to the lakeside and the Japanese Imperial Family, a Japanese aristocrat, etc. came to visit also. The yacht race was opened there, an airplane came flying for movement. There was a Western atmosphere there. Fishing was the most popular play among the visitors. It was British style trout fishing (fly-fishing), and was carried in for the first time in Japan. "Tokyo Angling and Country Club" was inaugurated to enjoy golf and fishing at Senju-ha-hama beach. The members of the club consisted of the leader of political and business circles, the diplomat in Japan, and the Imperial Family. As a resort in which a high-class person gathers, the outskirts of Lake Chuzenji was established its status. Although there was also time currently called "Ministry of Foreign Affairs of summer" in early stages of Showa from Taisho, the area was damaged by World War II. Only the chimney of a fireplace portion stands still at the lakeside now. Although it is lonely, there was the romance. The Kegon waterfall is recognized as one of the great waterfall of Nikko. The water of the Lake Chuzenji falls from a height of 97m. The elevator leads to observatory, and you will see a spray of powerful waterfall with beautiful scene. The name of Senjo-ga-hara originates in the "battlefield" which appears in the myth. 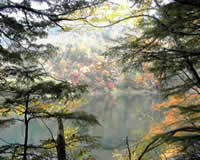 The struggle occurred regarding territorial possessions of Lake Chuzenji. The battle was done by the God of Futarasan of Shimotsuke (former Tochigi prefecture) and the God of Mt. Akagi of Kouzuke (former Gunma prefecture). 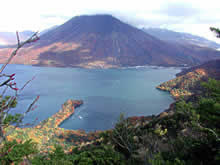 Shimotsuke and Kouzuke are the countries, which adjoin across Lake Chuzenji. This battle was by the large herd of snake on Futarasan side, and the large herd of centipede on Mt. Akagi. The Futarasan was inferior in strength at the first time, but the God of the Futarasan remembered the man, who might defeat troop of the Mt. Akagi. He was the expert of a bow called Sarumaru. The God of the Futarasan tried to lure Sarumaru out by changing his appearance to the white deer. Sarumaru chased the white deer and came to Futarasan as the white deer intended. The God of Futarasan asked Sarumaru to defeat the troop of Mt. Akagi. Sarumaru found two-horned giant centipede, which seems to be the enemy’s leader. Sarumaru hit the left eye of the enemy's leader, and defeated enemy of the Mt. Akagi finally. Senjo-ga-hara is one of the marshland representing Japan, and there is about 400ha of width. It is the treasury of an alpine plant and flowers, and can be enjoyed from June to August. Also, there are deciduous broad-leaved tree woods, such as a Japanese oak, HARUNIRE, and ZUMI around the marshland. Moreover, SHIRAKAMBA, which has a nickname as "Noblewoman of Odashiro-gahara”, is the popular target among the hiker and photographer. Senjo-ga-hara is also well known for many kinds of wild bird. You will see them at the forest zone, and by walking along the "Senjo-ga-hara Natural Research Path". Those wild birds will multiply around May to July in Senjo-ga-hara. Although many hikers visit Senjo-ga-hara in the blooming season of an alpine plant, weather of Senjo-ga-hara is not easily influenced even if it were the rainy season, while it is raining in the central Nikko. Therefore, you should better check the weather of both the station front and the destination. 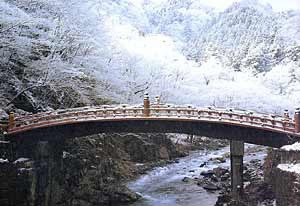 Senjo-ga-hara is covered with snow in winter, and is also the prosperous place of cross-country skiing. Various courses have gathered from the beginner course to the official-recognition course. Koutoku, which is located in the east of Senjo-ga-hara, is the starting point of each course. You will enjoy the beauty of autumnal leaves of Oku-Nikko (literally "deep Nikko") in a comparatively easy hikingcourse of Lake Kirikomi and Lake Karikomi. It takes you 4, or 5 hours (9.6km long) including lunch time from Yumoto hot spring to Koutoku Pasture (or the reverse course) to complete the course. Relaxing at the Yumoto hot spring after the hiking will be great. It takes about one and half hour from Hatomachi-toge, Oze to Yumoro area. It is hard to walk from Koutoku to Sanno Touge mountain pass on the reverse course. Ordinary course is more comfortable. Parking lot available at Koutoku, but not at the Koutoku starting point for hiking. Please be careful of number of buses running between the Koutoku and Koutoku entrance. They are very few. The first ten or twenty days of October are the best season to observe autumn leaves. 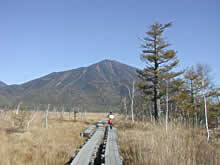 The source of a hot spring is located in the area Yuno-daira, Marshland to Lake Yunoko. The hot spring flows into Yuno-daira marshland and is cloudy. Both lakes are connected each other and there is no stream going out. The prairie looks like a grinding bowl. The flower of trees will mainly bloom in spring and summer. Most of flower of trees will bloom in July, August and September.